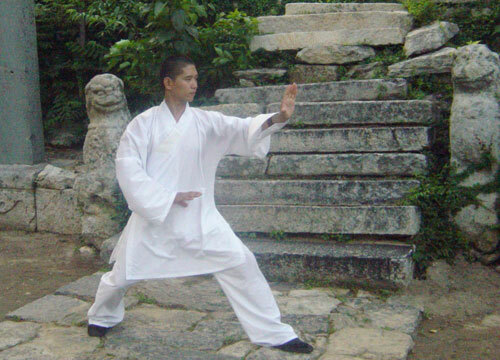 One of the oldest forms of martial arts in Chinese Kung Fu is the Xingyi Chuan. It started in the Southern Song Dynasty ten centuries ago. Xingyi Chuan’s theories and scientifically-accepted precepts are founded on a comprehensive and sound school of thought. Click Photos of students learning Xingyi in our academy with master. 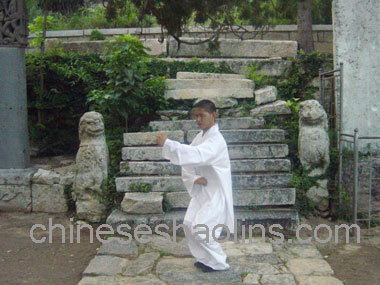 The Xingyi Chuan masters have knowledge and skills of various forms Kung Fu that have originated from different people. The renowned masters trained soldiers to apply this art of fighting during times of war in the Southern Song Dynasty. This type of Kung Fu was widely accepted as wounded soldiers could not exercise GongFu – a conventional and popular way of fighting during combat. The soldiers had to learn this art in order to defend their territories.A renowned patriotic Chinese general who braved many wars found it advantageous to train and enhance his soldiers’ art of war by applying Xingyi fist form. This form is a witty blending of Wuxing with actions imitating the motion of specific animals. The art of Xingyi Chuan Kung Fu evolved from making subtle movements to using the mind to control the inner and outer actions.A renowned patriotic Chinese general who braved many wars found it advantageous to train and enhance his soldiers’ art of war by applying Xingyi fist form. This form is a witty blending of Wuxing with actions imitating the motion of specific animals. The art of Xingyi Chuan Kung Fu evolved from making subtle movements to using the mind to control the inner and outer actions.. The name, Xingyi Fist, was founded by Guo Yunsheng who is credited for refining the art of fighting. He is regarded for modernizing it to include the five major constituents: metal, wood, water, fire, and earth. This is also known as Wuxing in Chinese lingo and is similar to the five forms of Xingyi Fist: chopping, Beng, Zuan, Pao and Heng fist. The associated theories inspired the Xingyi Fist and accompanying weaponry, and the whole concept is based on contemporary Chinese doctrine. Overall, there are other twelve imitative techniques that are based on the movements of the following animals: the dragon, tiger, horse, cork, pear, sparrow, hawk, monkey, eagle, swallow, crane, cat, and snake. These movements have six associated combinations. They can further be divided by half into internal and external combinations. The major concept of Xingyi Chuan is to maintain flexibility of a dragon, the firm shoulder of a bear, the agile nature of an eagle and the sound of thunder. Xingyi Chuan concentrates on mind controlling the Qi to collaborate with internal strength and physical motion. This is the fundamental concept of studying Xingyi Chuan: uniting external acts and internal energy. This renders it a unique and efficient form of fighting. Additional benefits include general improvement of the trainee’s health, taming the soul and extending one’s life.